Why Does My London SEO Cost This Much? Most people never dare to ask this question. Some go online and seek for answers. We understand that the matter of hiring SEO specialists for your business can be confusing, especially if they are London ones. Therefore, we are going to explain what goes into good SEO work and break down the costs. What is the real purpose of search engine optimisation (SEO)? 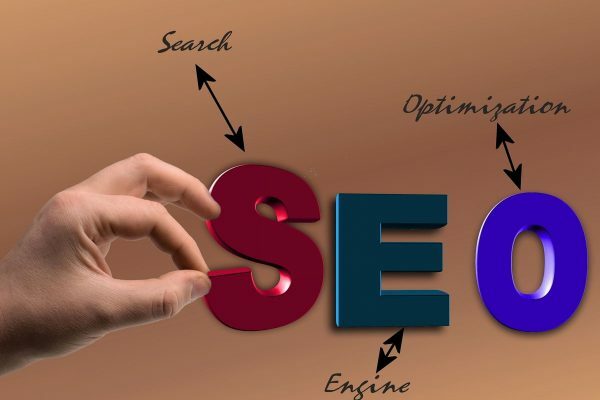 Unfortunately, many hold the belief that SEO would be some kind of magic trick which, once performed, suddenly makes their website pop on the Internet in a better position than before. Like a one-time service that propels their company from the bulk of search results to the very first page in Google. While SEO indeed aims to increase a site’s ranking, it does not do it overnight, nor in one move only. It is a lengthy process of optimisation, involving some features, aspects and parameters. It firstly aims to identify the weak areas of a website and fix these. No client wants to see a surge in traffic and then quickly witness it fall. The goal is to have constant large numbers or website visitors, clicks etc. and maximise the conversion rate – meaning the number of visitors who eventually decide to buy. Since the Internet, the technology, as well as the market are always evolving, the SEO efforts must be ongoing. Frequent tweaks and new strategies might be necessary. Your chosen London SEO expert wants to grow your online business and keep it at a superior level. This means having to attract visitors regularly, day after day, through new improvements, offers, ads etc., all part of the optimisation process. Here is a part of the optimisation process most people are not aware of. It is because it never gets seen by the client, only by the professionals performing it. The purpose of analytics is to figure out how each element of the website performs – which works well and what parts call for improvement. It is also about identifying keywords that yield superior results. The expert often proceeds to analyse the competition, too. It can pay off a great deal to know what similar but better websites are doing, within the same industry, to attract traffic and clicks. Also, every campaign, ad, marketing tactic is put to the test, in order to check the results it’s producing. Based on the conclusions that emerge, the professional can take new action and develop better strategies. A whole series of tools are involved in the process, which takes time and effort, thus contributing to the final costs of SEO services. An SEO expert, no matter how experienced, may not reach ultimate success right from the start. They will start with the obvious solutions, then measure the progress. Consequently, they will tweak the chosen solutions, invest more in these or change them for better ones. It is an ongoing quest to strengthen a website in all of its aspects. Often, it takes several months to see what certain changes are doing. This is why SEO agencies ask their clients to sign up for a long-term collaboration. This isn’t a trick employed to get more money. It is simply the necessary approach for real growth. Sometimes, the implemented solutions may reach a plateau; in this case, the specialist explores more ways to optimise the website. Probably the greatest city in the world, as many know it, London attracts many business people and investors. Entrepreneurs find it to be a very fertile ground, especially for fresh, innovative ideas. However, thinking out of the box is not enough in order to thrive in such a competitive environment. You need strong allies. To succeed online, one definitely has to hire specialised services (website design, app development, marketing). It’s the kind of service you cannot do without. One of the reasons is that everyone else is doing it. London SEO firms also specialise in local traffic, which means they know how to get your site seen locally or regionally, so you can attract valid punters who are genuinely interested in your business. If you want to be known within your community, it’s this kind of traffic that you should be interested in. Hiring a team who honed their skills in London means working with people who know how to kick the competition and bring your website to the light. No marketing strategy is complete without the production of useful, relevant content to go along with it. This is why you’ll see most respectable London SEO agencies offer content writing services for example. It represents an essential part of online marketing, branding and organic growth. The amount of content, as well as its quality, signal search engines about your business and its scope. Their impact is then reflected in the ranking, traffic and reputation growth. Content is simply the fuel to it all. A reputable agency will have its own content specialists, capable of producing original, creative, informative, engaging, grammatically sound content that show your company as a value on the market. They will take time to create it, in accordance with all the current rules and requirements. For a high-quality piece of content, hours of research are necessary. This adds to the expense but is surely worth it in the long run. The content stays out there and keeps attracting interested clients. More content of this kind triggers a snowball effect, generating exponential growth. Is cheap SEO too cheap? In most cases, you should stay away from services that cost too little. If you are suspicious of goods that are too cheap, then why trust a service that’s priced so low? As said before, good SEO takes a lot of effort and time. For this reason alone, the price cannot go under a certain threshold. The process cannot be shortened, unless one makes use of the so-called black hat (illegal, harmful) techniques. These are never worth it in the end, anyway. For example, it can happen that not all links are good – a tactic called link spamming (stuffing content with links), which is known to attract severe penalties. Finally, there is another ‘dark secret’ about these low costs: when the price is low, the people working for you may be young and inexperienced. They’re looking to build their portfolio, and thus they need to lure in clients more easily. The best way to score in this department is to practice small prices. No matter the level of your business, it is important to start with real, beneficial SEO. Hire people you can trust to do an excellent job. The good news with London digital agencies is that these are varied and you can find ones with truly experienced staff, capable of outstanding work. To weed out the bad ones, look out for a few clues. When you are on a tight budget and don’t want to make a splurge on SEO, know that you can still negotiate and find an advantageous deal. This is because digital agencies in London have dealt with countless varied clients, with companies of all sizes and with different aims; therefore, they are aware of the need to tailor their services and costs accordingly. In addition to that, you can hire such specialists for your size of a project, from occasional optimisation work to a full-time schedule. Therefore, a good SEO service is a flexible, adaptable one. A second big clue is the quality of their own writing. How much content does their website have? Is it rich, updated, exciting, revealing? Does it stick to the topic, do they sound like they know their business? Are the texts grammatically correct, with a good vocabulary and a format that’s easy to the eye? Do they answer clients’ questions? The impression these texts make on you will tell you whether the agency is worth the money or not. A third clue is a portfolio. If it’s non-existent, how can you know what their work is like? Try to get some samples of what the selected agencies have done for others. Here’s a tip on how to figure out more about a digital agency and how your collaboration will be. Use the contact data on its website. Those phone numbers and e-mail addresses are there for a purpose. Don’t hesitate to write or give a call to present them with some details about your business and goals and to hear what they have to say about it. The more they can speak about their SEO work, the better they probably are at it. Such exchanges can be very revealing. Last but not least, invest smartly. Going for high-quality SEO services doesn’t mean paying an astronomic amount. Weigh the costs as well as the goals and results.